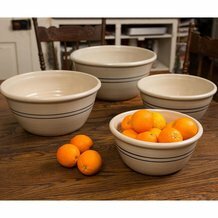 Whether you are making bread, pies, cakes or some other baked good in your oven at home, nothing beats the aroma of fresh-baked goods - or the taste. 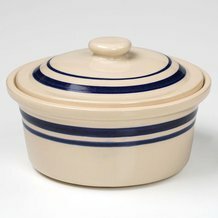 Store-bought goods just can't compare to the freshness and taste of home-cooked baked goods made with love and care. 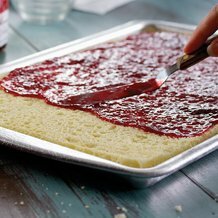 At Lehman's, we have been supplying home baking supplies to our Amish neighbors as well as customers farther afield for many years. 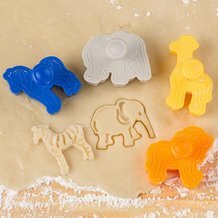 We offer an outstanding collection of top-quality bread, cake, pie and cookie baking supplies and accessories and have some of the best baking supplies available. 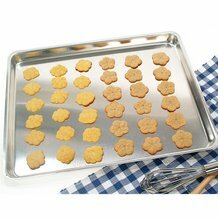 Try baking your own recipes with some, and we are sure you will agree. 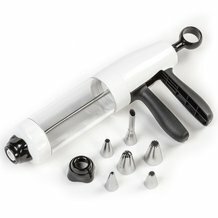 Our baking supplies catalogs include products to suit just about any project, from pie baking supplies to cookies, cakes, breads and just about any other baked good you can think of. If you love apple, beach, blueberry or any other kind of pie - and who doesn't? 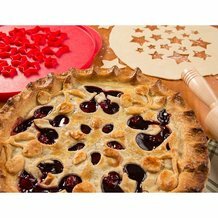 - you will love our pie-making supplies. 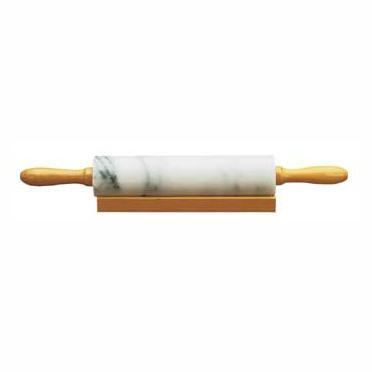 You can make a fantastically flaky crust with our traditional hardwood or marble rolling pins and marble pastry boards and bake the perfect pie with our old-fashioned glass or enamelware pie plates. 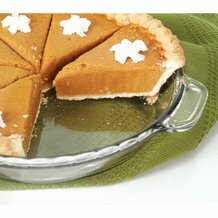 Friends and family members will rave about your perfect pies. 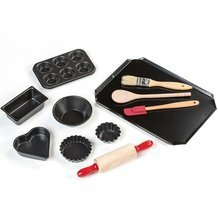 You will also find plenty of kitchen utensils to help you make great cakes and bread, including flour sifters, mixing bowls and bread pans and cake pans. We also carry a variety of whisks and mixing forks to eliminate lumps. 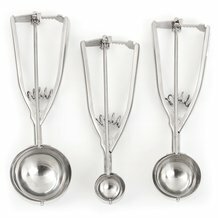 Our measuring scoop sets will help you add just the right amount of each ingredient, while our oven thermometers will ensure you are actually baking your goods at the correct temperature. 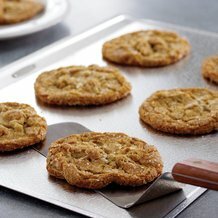 One thing's for certain: When you use our baking equipment, none of your recipes will come off half-baked.